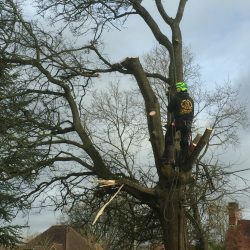 We are a friendly, professional and local company based in Surrey and delivering high quality tree services and garden maintenance to domestic and commercial customers in Dorking, Westcott and the surrounding regions. 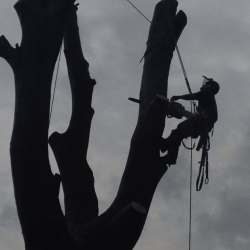 Our skilled and competent arborists have a wealth of experience and no job is too big or small. We believe in excellence and quality and never compromise on the high standard of work that can be achieved for our customers. 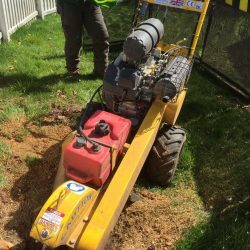 As well as tree felling, tree removal, tree pruning, hedge cutting and stump removal, we can also help with emergency tree work, tree planting, garden clearance and maintenance and advice on all aspects of trees and their care. 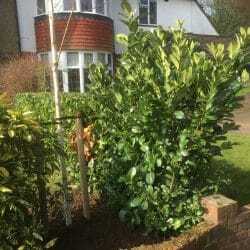 Importantly, we are passionate about trees and will give great care to the trees and hedges on your property! 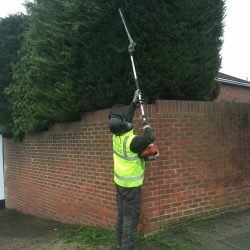 All our arborists are fully insured and fully qualified to work in compliance with British Standard BS3998, enabling safe and effective workmanship. 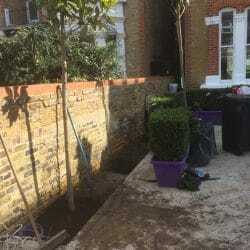 We take time to tailor our work to your requirements and budget and our team will be able to advise you about all aspects of your trees and garden. We pride ourselves on putting safety first and take great care to plan all work and will also do all the paperwork and checks before any work is started on your behalf. For more information about any of our services, please call now on 01737 215718 or 07872 615504 for a free quotation. Aside from looking better, properly pruned trees will normally remain healthier and live longer. Crown lifting: The removal of lower branches to an agreed height by pruning an upward growing part of the branch back to the main stem. Crown reduction: This manages the spread and height of the tree’s branches and reduces the overall shape of the tree. 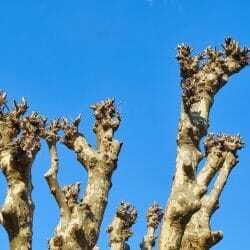 Pollarding: This traditional method of tree pruning removes most or all branches from the trunk to limit future growth. 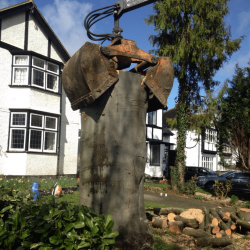 Call our local tree specialists in Dorking for tree felling, tree stump removal, tree cutting and tree maintenance. To talk to a member of our friendly team about any of our services and your requirements, please call us now on 01737 215718 or 07872 615504. 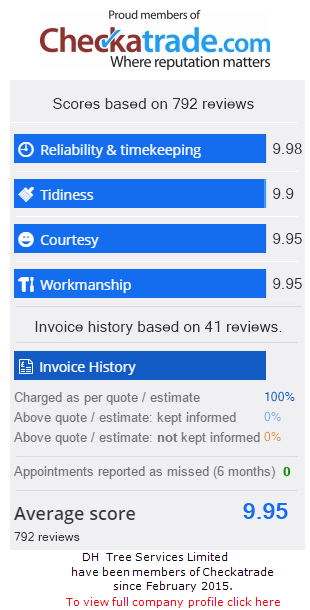 Alternatively you can email dhtreeservices@gmail.com or fill out an online enquiry form and we will be as touch as quickly as we can.